The Industrialist: Henrik Vanger, head of the dynastic Vanger Corporation, is tormented by the loss of a child decades earlier and convinced that a member of his family has committed murder. The Journalist: Mikael Blomkvist delves deep into the Vangers' history to uncover the truth. But someone else wants the past to remain a secret and will go to any lengths to keep it that way. 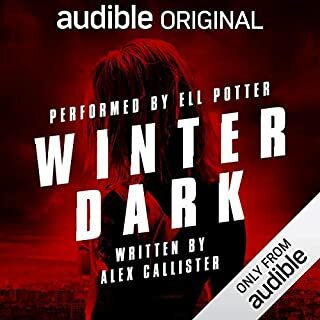 When a body is found buried near the desolate forest road of Kellers Way, Detective Melanie Carter must identify the victim if she is to have any chance of finding the killer. That's no easy task with fragmentary evidence from a crime committed years earlier and a conspiracy of silence from anyone who might have information. The one person who may be able to help is Julie West. The sixth in the Millennium series - more than 90 million copies sold worldwide - the crime fiction phenomenon featuring Lisbeth Salander. 'I will not be hunted - I will be the hunter.' Book four in the series, The Girl in the Spider's Web, is now a major film from Sony Pictures starring Claire Foy - out in November 2018. 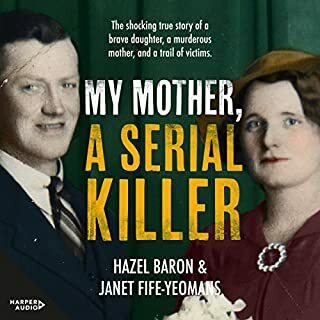 Dulcie Bodsworth was the unlikeliest serial killer. She was loved everywhere she went, and the townsfolk of Wilcannia, which she called home in the late 1950s, thought of her as kind and caring. The officers at the local police station found Dulcie witty and charming, and looked forward to the scones and cakes she generously baked and delivered for their morning tea. That was one side of her. Only her daughter Hazel saw the real Dulcie. And what she saw terrified her. Salander is plotting her revenge - against the man who tried to kill her, and against the government institutions that very nearly destroyed her life. But it is not going to be a straightforward campaign. After taking a bullet to the head, Salander is under close supervision in Intensive Care, and is set to face trial for three murders and one attempted murder on her eventual release. 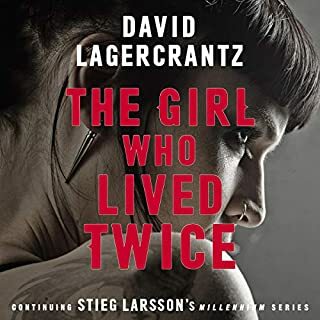 With the help of journalist Mikael Blomkvist and his researchers at Millennium magazine, Salander must not only prove her innocence, but identify and denounce the corrupt politicians that have allowed the vulnerable to become victims of abuse and violence. Once a victim herself, Salander is now ready to fight back. great trilogy, very much enjoyed it the whole way thru. Great voice-over, extremely well read. Absolutely love this series and this book in particular. The narrator is so captivating, he really knows how to draw the listener in. Highly recommend. this story is amazing ... thoroughly enjoyed every minute of it ... the narration was outstanding ... can't wait to start the next one. The third book is every bit as addictive as the first two. A real thrill to listen to. Love it! Exciting and exhilarating. Good twists and outstanding storylines. Great narrating as well. Nice! Would you consider the audio edition of The Girl Who Kicked the Hornet's Nest to be better than the print version? No. I wouldn't consider the audio edition to be better than the print version. Though it came close. Lisbeth Salander is perhaps the most defined and well-etched character in modern crime fiction. The formidable nature of her portrayal would make one hesitate to call her one's favorite. But, she obviously is. What about Saul Reichlin’s performance did you like? He does emote in the right places. But, he also recounts a story in a simple fashion. He does not over-act, or build emphasis where none may have been intended by the author. Saul is a fantastic narrator for this series. There are moments when the voices become slightly muddled, but considering the large cast of characters he is working with it really isn't a problem. Highly recommend this and the other two narrated by him. What made the experience of listening to The Girl Who Kicked the Hornet's Nest the most enjoyable? How can I praise Stieg Larsson highly enough? The man is a genius. To create a story so intricate, yet easy to follow. My brain wanted more. I have listened to all 3 of this trilogy, this one is the last part. I recommend starting with The Girl With the Dragon Tattoo, then The Girl Who Played With Fire and lastly this one, number 3 in the trilogy. Loved everything about this story over 3 books. I felt so close to the characters, and that I understood them, their intricacies, as though they were my friends for the duration of the time I had with them in my ears. Not only was the character development superb, the story was so far reaching and so cleverly orchestrated, there were spiders webs wherever one looked. The Girl With the dragon Tattoo was only the beginning. The next 2 open up Lisbet Salander's life and you find out why she is the way she is. I found it absolutely fascinating and gripping. And I loved the Norwegian setting - I am now hooked on Scandi Crime - Adler-Olsen and Nesbo. Which character – as performed by Saul Reichlin – was your favourite? Saul himself is a vocal genius. He performs each of the characters, stays true to that character over 3 books, some 50-60hours of reading. He did every character so well. Just loved his portrayal of Lisbet. Love you Saul! Sometimes horrified, sometimes laughed out loud, sometimes got angry for injustice, and sometimes yelled "Go Lisbet!" to the astonishment of my little dog sitting in the corner. Loved it through and through. Stieg Larsson - what a shame he passed away, this man had this story sitting in his archives, apparently inspired by all he'd seen and heard over his time as a journalist. This is a true piece of genius writing. Loved every single second. Such a shame we will never have any more of his writing. Goodness knows what else he may have come up with, especially with the inferences to secret police and government scandals. I wish this series (Larsson) could keep going. Brilliant sorry telling. I couldn't put it down. You've read all the rave reviews; believe them! These books (The Trilogy) are fabulous. But let me praise the narrator, Saul Reichlin. He brought the books to life in a wonderful way. He made it easy to distinguish between the characters, despite a variety of accents (Swedish, Irish, Australian, Russian, etc.) and he did it without making them into caricatures. As I discussed the books with friends, I would mention a name and they would often say "is that how you pronounce it?". Mr. Reichlin not only made these books a pleasure to listen to, he made me confident pronouncing more-than-difficult Swedish names and places! Buy the book, and enjoy. Great final book that wraps up the series well. The narrator adds to the story with a great effort. In a way it was disappointing for the book to end because it was so good. Highly recommend all in the series even though they take a while to listen to. However you soon become involved and wanting more. Some of this recording has clearly been taken from recordings for tape, so it's irritating to be asked to turn the tape over while listening on a digital device! To make matters worse, there is a whole section missing between part 2 and part 3. 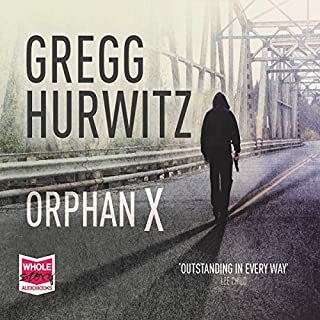 Sure Audible (oops, Amazon) can do better than that. Frankly, I want my money back. 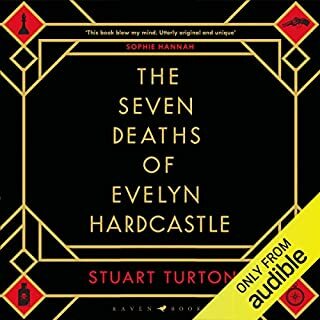 A fantastic conclusion to a great series, I couldn't stop listening. Larsson ably knits many strands together, creating a very satisfying conclusion to a story that looks deeply at what happens when society fails its most vulnerable. The series is set in Sweden so the reader gets the added benefit of learning more about Swedish life and history. A great listen..
Another really good thriller from the late Stieg Larsson. What a pity that he's lost to us! This one is the third in the wonderful Millenium trilogy, and neatly ties up most of the loose ends. It's well-written, a mix of fast and slow pace, intelligent and tense ... what more could one want? Well, there is something more ... Larsson's left leanings tend to influence this trilogy too strongly, in that pretty much every villain is a rabid capitalist, while every liberal or leftist is totally squeaky clean. Life is never that simple, and some shades of gray would have elevated the writing. But, in the end, I'm not complaining - all in all you did a great job Stieg! The narration by Saul Reichlin is excellent. I just loved the twisted tales and characters. The beautiful descriptions of the country side, that made my immagination ran wild. 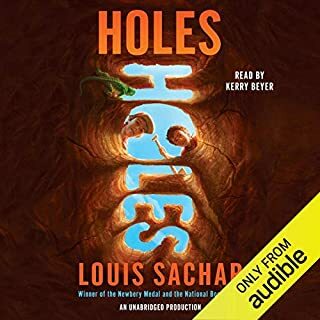 The way the narrator Saul Reichlin keeps you on edge all the time. He is amazing. The performance is excellent, the story exciting, and the characters - unforgettable. This series is one of the best I've ever read and you'd be hard-pressed to find a more engaging story if you like action and rich, strong characters. My advice - read them in order and give yourself the time to really enjoy them. It's hard to believe this is a translation - the English is superb. 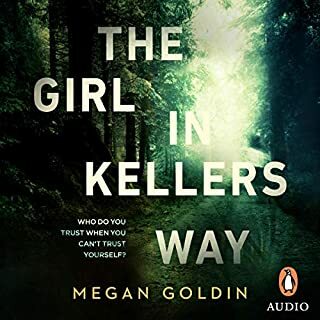 I was eager to listen to this final book in the Stieg Larsson trilogy as I'd greatly enjoyed The Girl with the Dragon Tattoo and then the Girl who Played with Fire. 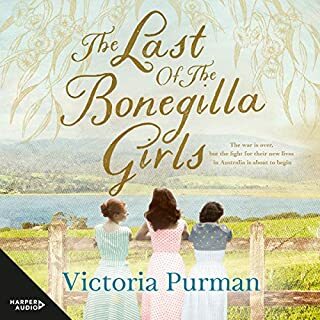 One word of advice: listen or read the two previous books before tackling The Girl who Kicked the Hornet's Nest as the latter narrative flows seamlessly from the Girl who Played with Fire and I think a listener would be confused without knowing the back-story and having become familiar with the main characters who are present in all three books. All the books are complicated with lots of characters with Swedish names and places but all are riveting. The stories are of epic proportions combining spies and the security services; crime and its detection; high-level computer hacking; investigative journalism leavened by a fair bit of raunchy descriptions of bed-room scenes. the many threads from the previous books. Much of the book revolves around Lisbeth Salander's trial for serious crimes and journalist Mikael Blomkvist's behind the scenes investigations. The trial scenes are particularly engrossing, and without giving anything away, the cross-examination of the psychiatrist, Dr Teleborian, is a high-light. 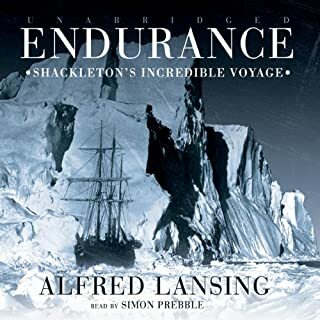 The enjoyment and comprehensibility of all the books are greatly enhanced by the superb narration by Saul Reichlin, who is probably the finest audio book reader. 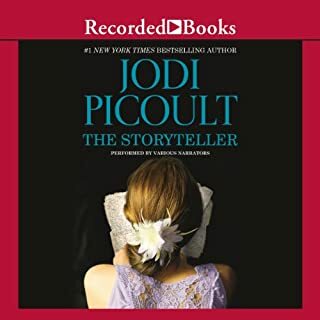 Narration is an understatement as he really dramatizes the books by his ability to create different voices for the characters. 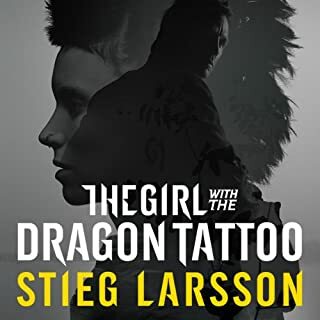 Sadly, the author, Stieg Larsson, died prematurely before this trilogy was published and won't know how much pleasure he's given people round the world who've followed the exploits of his weirdly wonderful character, Lisbeth Salander, and the doughty investigative journalist, Mikael Blomkvist. Really good book. I have throughly enjoyed listening to it. Tried to read the paperback version but could not get in to it. Listening to the story brings it alive. Having hit the charts world wide, what more can be said about these books. 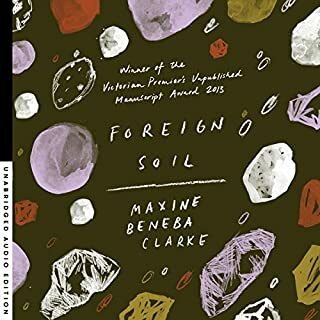 A recommended audible book to anyone. Don't skip the first two books and read this one first otherwise you will be lost, and don't go for the bridged edition, it's just too good to miss a single word. I was wary of the length of this when I first downloaded but I had enjoyed the previous 2 books in the trilogy so had to finish it off. I can honestly say that the length was never an issue as, right from the start, I found the story gripping. 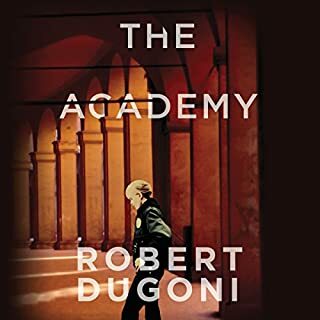 It definitely helps to have read the first 2 simply to understand the relationship between the characters but even with that I still found myself struggling to remember certain events described. It doesn't matter in the least as it doesn't interupt the flow of the story and I was thoroughly entertained throughout. In the end I was disppointed there wasn't more! I would highly recommend this book. Thoroughly gripping thoughout. The storyline kept me listening and enthralled all the way through. I was actually missing other programs etc because I wanted to know what was coming next. This is good holiday listening. It is well read and enjoyable. 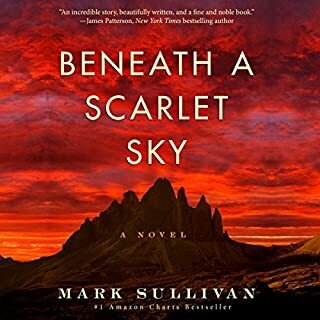 I have not read the two earlier books in this trilogy but was still able to enjoy this as a standalone story, the plot of the previous two unfold as you go through. I would recommend this and suspect the other two are also worth a listen. 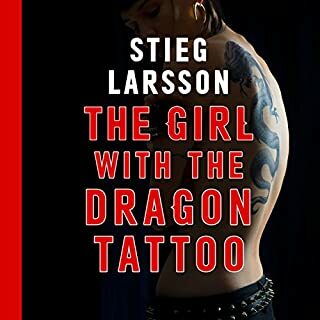 This is a great read I am disappointed it's over I shall miss Salander and her friends! 'The Girl who kicked the Hornet's Nest' is a stunning completion of Stieg Larsson's Salander trilogy. 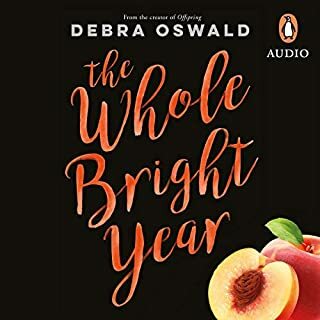 Throughout most of the book I wondered how Larsson would find a HEA for Lisbet, but in the end she is released from her terrible past and has the possibility of happiness, I think. The treatment of Salander's trial, and the lead up to it, together with the deadly criminal activity of the clique within the Swedish secret police, was masterfully developed. This is one of those rare books that temporarily captures your soul, making it very difficult to stop reading. 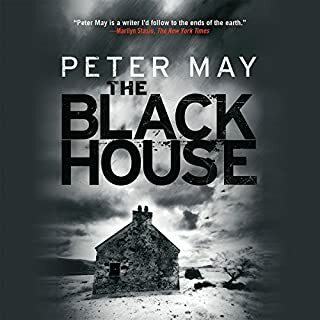 I was very impressed by the narrator's use of different accents for the different characters which made listening something of a 'theatrical experience'. For devotees of mystery thrillers, purchase of this trilogy is a no brainer IMO, definitely a 'must listen'. as the other two full of murder and mayhem. Stockholm it would have been ok, but I found it a bit tedious. The narration was excellent and made the characters live. Looking forward to the next book from this author. The Millennium Trilogy is like Marmite; you either love it or hate it. I love it and thoroughly enjoyed this the 3rd and final part of the Trilogy. 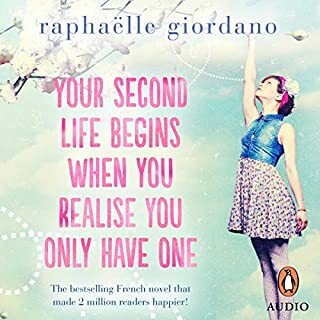 Narration and characterisations were brilliant, and like the first two books there are plenty of plot twists and turns. Was quite sad to complete the Trilogy, felt that I was leaving a group of friends behind, and wanted to know what happened next! Will have to watch all the films now, and will certainly look out other stories narrated by Saul Reichlin.